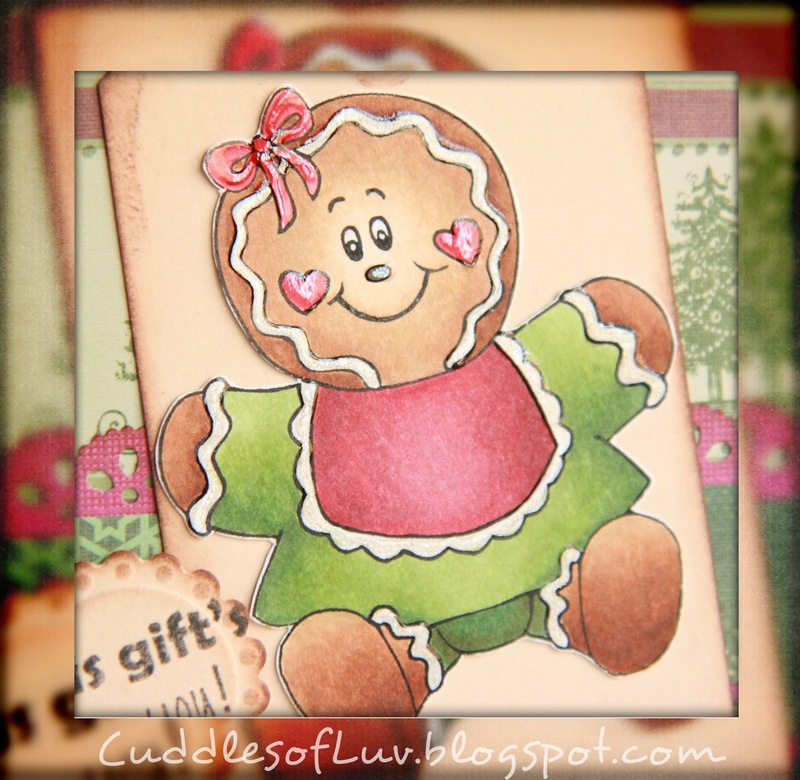 Followed an older sketch from Freshly Made Sketches and used some scrap Christmas paper from Recollections line. 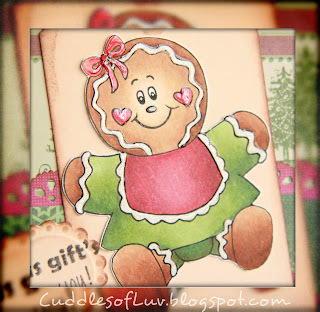 Can you see the shiny sparkly icing on the gingerbread? Fun to try to make it look like real icing. Do you have time to make a card or two for a great cause? 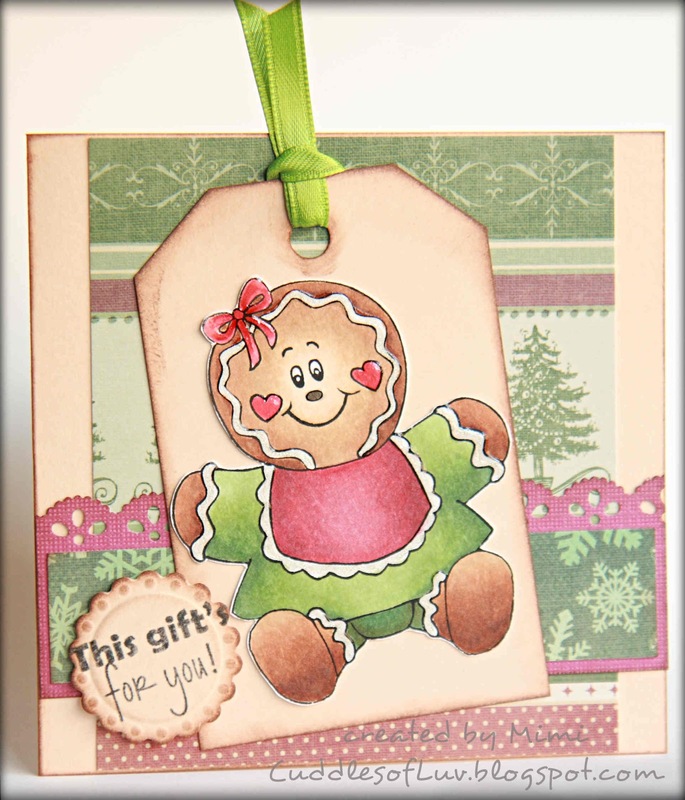 This card will be donated to the Make a Keiki Smile organization. Kris (the co-owner of Lollipop Crafts) and her aunty are collaborating this year again to bring some big happy smiles to the kids at Holy Cross Hospital. Check out all the details here on Kris' blog. so cute! and so thoughtful of you to donate this card! Cute!! some sweet little girl is going to squeal when she gets this.